Residents take water from a purification plant in Arsal camps in Lebanon. 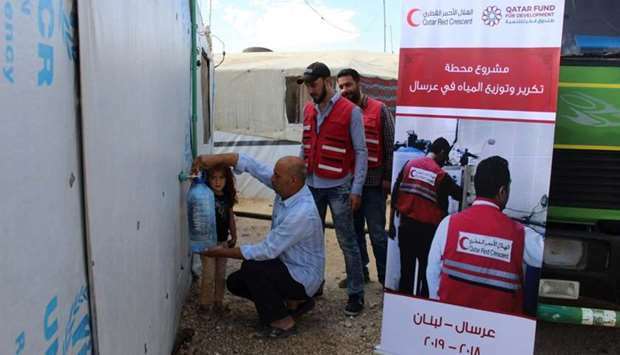 Qatar Red Crescent Society's (QRCS) mission in Lebanon has launched a new project that helps provide clean drinking water for the Syrian refugee camps in Arsal of the Beqaa Governorate. 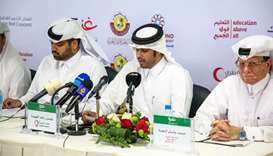 The purpose of the three-month project is to address the problems facing both the refugee and host communities, by distributing potable water to 36,000 persons per day, or the total populations of 63 camps. Omar Katerji, head of QRCS mission in Lebanon, described the water projects as a top priority in QRCS's strategy for the coming years. He noted that the Arsal water purification plant is a replication of another project in Saadnayel, a town of the Zahle district. 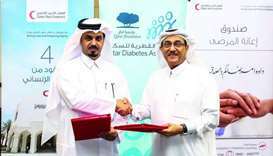 He also revealed that QRCS is planning to launch a similar third project in North Governorate.